She-conomy » Guys, Knowing That Women Are Your Market Is Only Half The Battle. Now, The Race Is On To Figure Out How To Connect With Her Effectively. Guys, Knowing That Women Are Your Market Is Only Half The Battle. Now, The Race Is On To Figure Out How To Connect With Her Effectively. Female car buyers are making up a larger customer base for some of the top domestic auto brands, but none approach the gains that Porsche has made with women this past year. Of all automakers Porsche® has made the largest relative market share gains among women nationwide over the past year, according to an analysis from Edmunds.com, the premier online resource for automotive information. From January through August 2011 23 percent of Porsche buyers were female, compared to 19 percent during the same period last year. The growth accounts for a 21.1 percent proportional change, year over year. 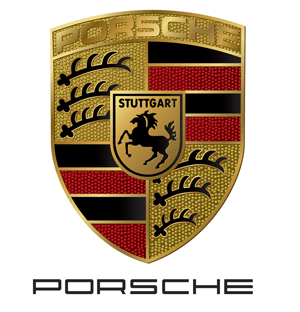 Knowing that the female is your market is only half the battle and Porsche® Cars of America understands that. Responding with effective product and marketing changes is what places them at the top. They get that all women are not alike. Porsche® has not only added the Cayenne SUV and Panamera 4-door sedan models, they know that some women love their sports cars, too. I was very fortunate for the opportunity to participate in creating one of the sales training modules titled, “Demystifying the Female Market,” for the launch of the 2012 911 Carrera S. With more than 200 dealers across the nation on board to better understand the female consumer, Porsche® is most likely going to continue to speed past the competition when connecting with women. 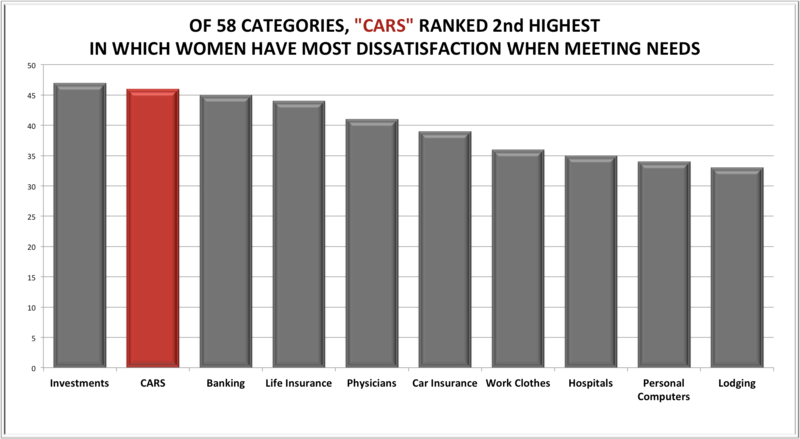 And, since “Cars” ranked 2nd highest of product categories in which women are most dissatisfied, (according to to a 2009 study published in the book Women Want More by Michael J. Silverstein and Kate Sayre,) the automotive industry has vast opportunity to drive revenues up by marketing to women. But beware. It is not simply knowing that the female is your market that counts. You must listen to her before you can meet her needs. Stephanie, this is brilliant. Congrats on your involvement in creating sales training modules on this important topic. Many years ago, my PR career included a rewarding stint in the automotive industry, where I once had occasion to sit in on Porsche sales training classes. Senior sales staff back then in the late ’80s (all male, of course) were educated quite emphatically on the demographics of the “typical” Porsche buyer: male, age 30-50, Gucci shoes, monogrammed shirt, Rolex watch – whose motto in life was both “I have arrived!” and “My car is an extension of who I am.” Sales staff were thus warned not to waste too much time explaining Porsche safety features, but instead to focus on impressive lifestyle bells and whistles – like the air-conditioned glove box in the 928S. While marketers back then relied heavily on segmented stereotypes that may have held a grain of truth or two, it’s shocking now to see how things have changed, and how the ‘one size fits all’ approach is simply no longer appropriate – or smart. I almost bust out laughing when you said soccer moms. I’m writing the script of a ~10 minute video and that’s one of the points I make. The phrase “soccer mom” is so overused by people who don’t know anything about women. I played soccer for 14 years and not one of the mothers referred to herself as a soccer mom. Love it! I just came across this blog and subscribed. Maybe when I finish the video I’ll run it by you. Might be perfect for this site. Woman are increasingly showing up in prominence every where – they are fast growing segment attending college in the U.S. they are increasingly growing in numbers in graduate education etc. I believe not understanding how to market to affluent educated women will be a huge marketing mistake. What resource would you recommend to individuals looking to connect with women through social media. I find people who can actually benefit from a product or service to engage on the internet. Most people in niche catagories are simply other marketers trying to attract people to their goods or services. I’m starting to make some traction in getting feedback from women about what there interests are – I think this is important for both sexes – meeting the needs of the clients. However, it seesm difficult to establish the rapport with people via social media.